The changes to the occupation lists have been made following consultation with the Department of Jobs and Small Business based on the labour market advice provided by the department. 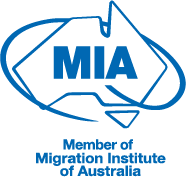 Australia's visa rules have been relaxed to make it easier for farmers to hire skilled seasonal workers. Sponsored sportspeople and artists will also be able to get new eight-year visas. In the latest update, 36 new occupations have been added to the Medium and Long-Term Skill List, including professional footballers and tennis coaches. Footballers and tennis coaches are among eight professions in the sports and arts sectors added to the long-term skills list.